Maria Lovely Umayam manages the nuclear security portfolio at the Stimson Center, which covers projects that explore industry’s role in upholding nuclear security commitments, as well as examining the intersection between WMD nonproliferation and global trade development. Currently, she is spearheading efforts to develop an Organizational Governance Template for Nuclear Security as a tool for senior leadership in nuclear facilities to demonstrate their reasonable efforts to prevent a security incident. 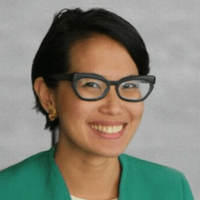 Prior to joining Stimson, Lovely served as a Program Manager at the Office of Nonproliferation and Arms Control within the U.S. Department of Energy – National Nuclear Security Administration (DOE/NNSA), where she implemented nuclear safeguards engagement projects in Southeast Asia and Latin America. At DOE/NNSA, she also helped coordinate nonproliferation and nuclear-stability focused Track 1.5 engagements in South Asia and Southeast Asia.